June 11, 2010 - Posted by	jamesb101 | Blogs, Breaking News, Counterpoints, Government, Media, Men, PoliticalDog Calls, Politics, Projections, TalkandPolitcs, Updates	| Bloomberg for President? 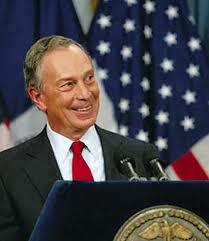 If Bloomberg runs, he’ll take votes away from Obama giving the GOP a sneaky way into the WH. CD are you for real???? Bloomberg and Obama sharing the same voters?